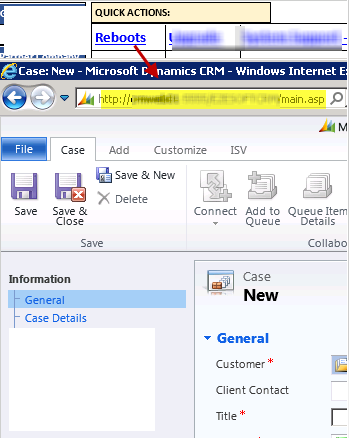 Until now, the fields that sync between the CRM and their Outlook counterparts have been locked down. Well... that is still the case and looks like it will be the case for the foreseeable future. However one of the common issues encountered with the above limitation is that only the primary contact address syncs to the CRM contact record (i.e. address1 to the Outlook business/mailing address). So if you wanted to sync the home address (typically address2) you were fresh out of luck... or you had to think of creative ways of maintaining such information to the description field so that it would appear there (something which I've configured for a client or two). 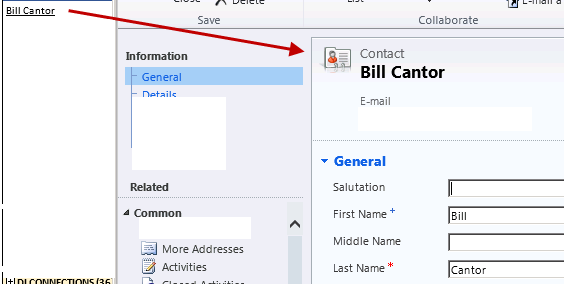 With CRM 2015, it appears Microsoft have finally seen the light and it appears that Address 2 fields will now sync to the Outlook home address. Of course, knowing this you may also want to consider any impact for existing organizations when they perform the 2015 upgrade. 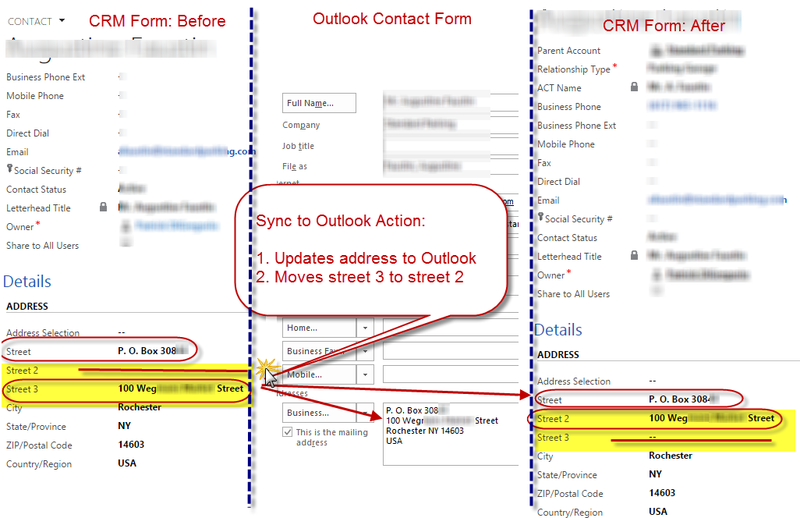 Below is the link showing the CRM/Outlook sync mapping for CRM 2015. I have only given it the briefest of reviews so perhaps there may be other surprise within. If so, do let me know. I think the reason why this occurs is because Outlook just arranges the address into separate lines rather than separate fields so that when line 2 is missing line 1 and line 3 follow one another making Outlook interpret line 3 as line 2. I have not seen any literature about this issue although circumstantial evidence points to the fact that this issue has been around for quite some time (i.e. I seem to recall perplexing unexpected Outlook updates fitting the above description that until now I have not been able to put my finger on). Anyway, I am able to reproduce this issue at will so it's definitely some kind of product defect. 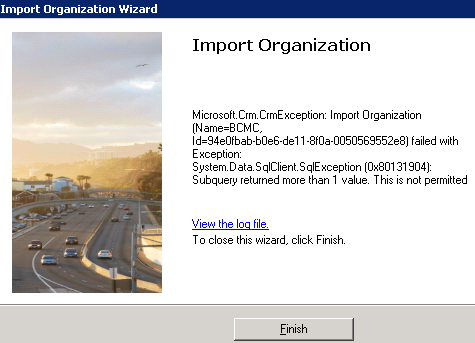 This issue has been reported to Microsoft and at the moment I don't have a solution to this issue although at a minimum it is comforting to at least know what this issue so it can be avoided and sanity be preserved. Caution: This is not for the fainthearted. Especially in CRM Online installations where you can't really make a backup (as concluded in the above referenced post - when in doubt go with user-owned entities...). You need to resign your self to the fact that you will lose information stored in system attributes such as created/modified by/on. Generally speaking, restoring N:1 relationships is not a problem because they'll be recreated with the re-import. However with the 1:N relationship as in the case of notes and activities there is a level of effort involved so you'll need to make a judgment call of whether it is worth it. Same applies for N:N relationships (perhaps even more so since there is no way to re-import using native tools. Bottom line if there is a lot of dependent data this exercise is likely going to be too painful and you'll need to consider other options such as duplicating the entity and migrating the data over with all the relationships (tools such as Scribe can help here). Retains all customizations - views, forms etc. Finally, update your entity name so it can exist side by side (temporarily) with the entity you will be replace. For example, find and replace all your_entity with your_entity2. Similarly, replace the entity description with a replacement value so you'll be able to distinguish from the front end. Note: If you get an invalid reference error when importing you'll need to remove the reference (could be a sub-grid or jscript web resource reference) and you'll need to manually add back after the import. 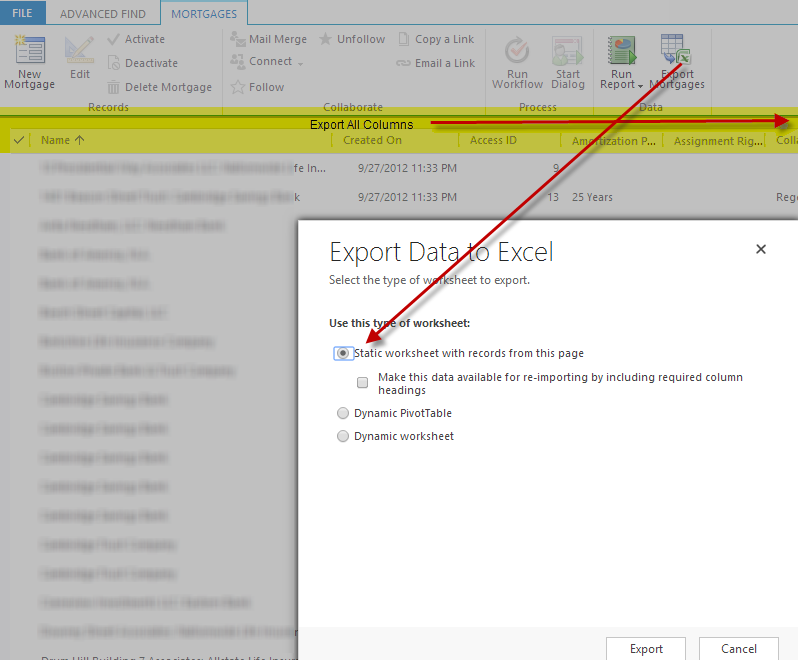 Use the data import wizard to re-import the data to your new duplicated entity. Update forms - you may need to update the forms with removed references that caused import customization errors.